Welcome to EyeVision Canberra, the private practice of Dr Maciek Kuzniarz, Canberra-based ophthalmologist, cataract and oculoplastic surgeon. At EyeVision Canberra we aim to provide you with a complete understanding about your eye condition and explain your options for treatment in everyday language. Our consultation rooms are on Northbourne Ave in Braddon. 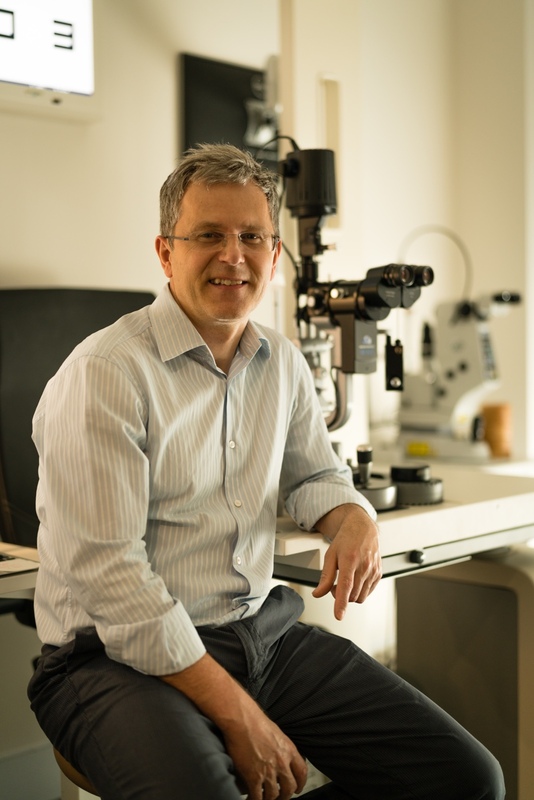 Dr Kuzniarz is an experienced general ophthalmologist with international fellowship training subspecialising in Oculoplastics. Dr Kuzniarz offers surgery at Calvary Hospital, Bruce, Barton Private Hospital and at Canberra Microsurgery, Woden. Being Canberra-based, patients can rest assured knowing that Dr Kuzniarz is available to offer immediate follow up and advice after treatment. Our rooms are available for appointments Monday to Friday. Urgent appointments are available on the day if required. NEW PAEDIATRIC AND STRABISMUS SERVICE ! We are pleased to announce that leading paediatric and strabismus ophthalmologist Dr Joanne Dondey will be commencing at our rooms in Braddon as a visiting consultant from August 2018. She will be available for appointments at our rooms fortnightly. Dr Dondey is an experienced eye surgeon with sub-specialist training in Paediatric Ophthalmology and Strabismus. She has extensive experience in the treatment of children’s eye problems, childhood strabismus, complex adult strabismus and general ophthalmology. Supporting her consultancy work here in Canberra, Dr Dondey has a regular surgery list available at Barton Private Hospital. EyeVision Canberra and Dr Kuzniarz wish to extend a warm welcome to Dr Dondey. Together we look forward to providing a much needed and experienced paediatric ophthalmic service to Canberra and the wider community. For appointments, please call EyeVision Canberra reception on 6102 1130.